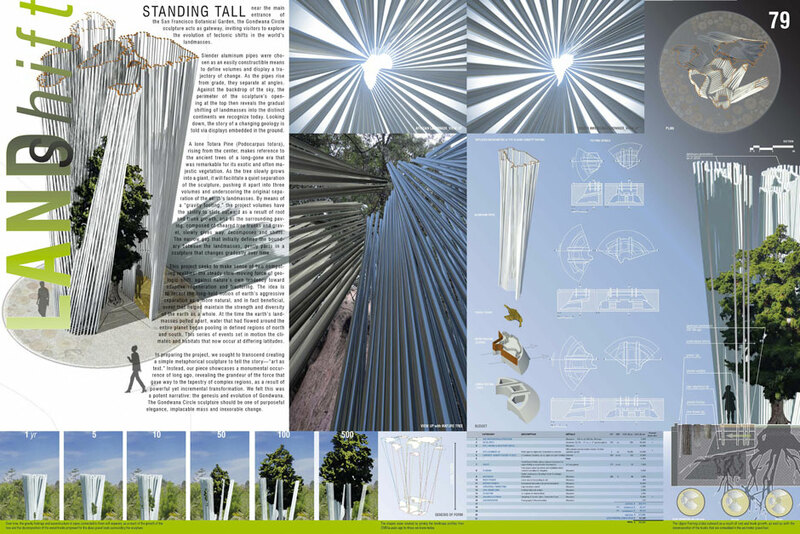 LandShift by Roberto Rovira (Team Leader), Jeff Burris and Edgar Albandoz, was 1 of 3 Awards of Distinction. The San Francisco Botanical Garden, which encompasses a botanically diverse and ecologically important collection of over 7500 varieties of plants on 55 acres within San Francisco’s Golden Gate Park, sponsored an open, one-stage, international competition to select a design for the Gondwana Circle. The Botanical Garden, owned by the City of San Francisco, sought a design solution that effectively communicated the historical significance of Gondwana in relation to the evolution and current horticultural communities of the Southern Hemisphere.